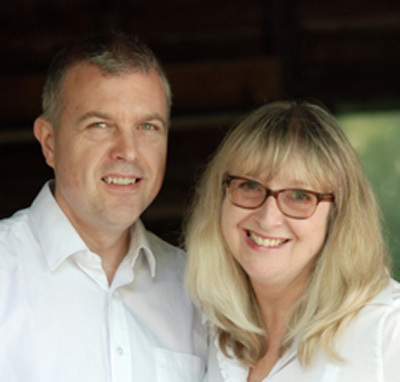 Known for their prophetic art across the UK and overseas, prophetic artists, James and Bhari paint live at Christian conferences and events, expressing the heart of God and the revelation of the Holy Spirit. They especially love painting during worship and times of intercession. 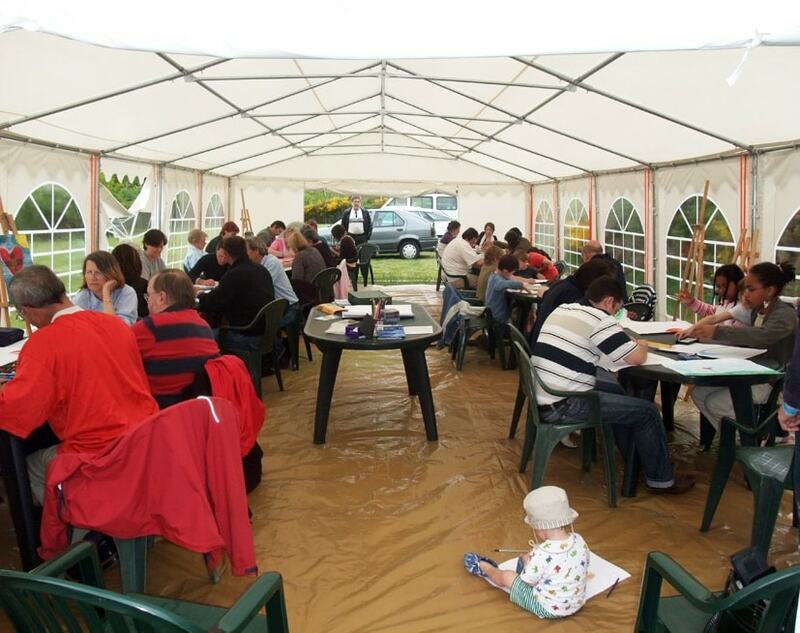 Together they run prophetic art workshops, courses, retreats and events. They met whilst serving on Community at Lee Abbey Christian conference and retreat centre in Devon. 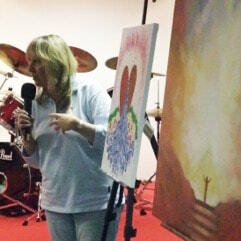 Their prophetic paintings, commissions, prints and cards have gone world-wide. Members of Bath City Church, Bath in England, they have been trained and equipped in prayer ministry and prophetic encouragement. Bhari served on the prophetic core team and led the prophetic encouragement team for over three years. Together they have served on the ministry team for over 10 years. James is currently serving on the operations team at Bath Abbey. Bhari has painted throughout her life but it wasn’t until 2005 that she was able to devote more of her time to it. Bhari is an artist, author, poet, mentor and trainer. With over 20 years in sales, marketing, training, management and business development, she also has a wealth of experience to offer on their 1 to 1 development workshops. James has been a professional artist since 1993 and initially painted wildlife and portraits before Christian art. 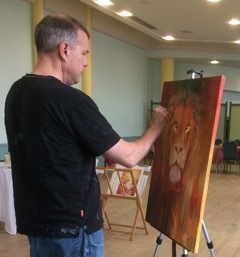 James is also an art tutor giving both individual tuition and group demonstrations, and has over 25 years of artistic experience to offer across their range of art workshops. To see God’s people released, equipped and activated to express His heart through prophetic art, both receiving and ministering God’s love, encouragement and healing, throughout the Church and across the world. To encourage everyone to use their God-given creative gifts and talents, especially for God’s glory. To see the glory of God restored to the creative arts, and the creative arts restored to the Church. ‘The Olive Grove’ annual gathering for worshippers, creatives, the arts, media and those creatively inclined. Bhari Long is author of ARTISTS & ARTISANS AWAKE! Creativity & the Global Harvest. Click here for more information. 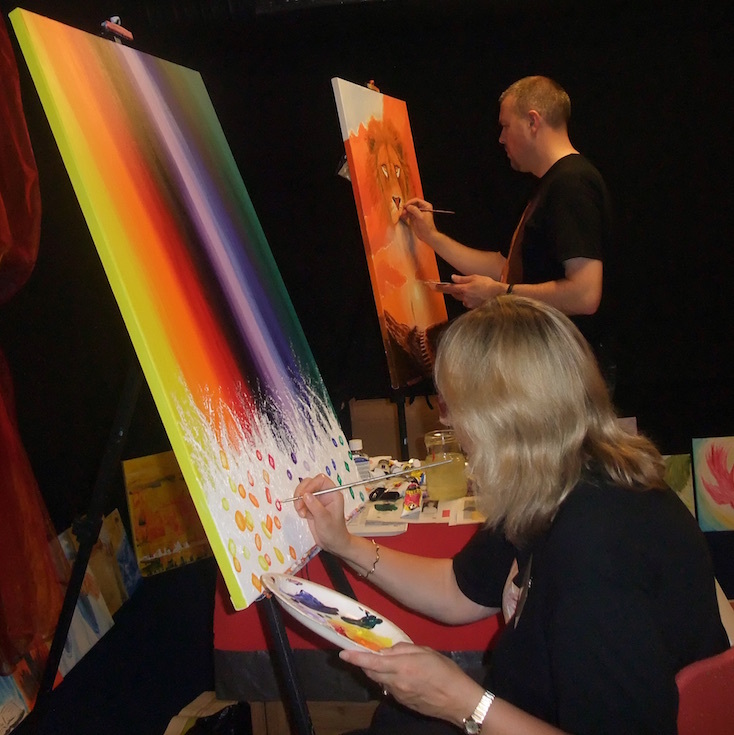 Thinking of Organising a Prophetic Art Event or Painting During Worship? If you’d like to explore or develop prophetic art in your area and benefit from Bhari and James’ ministry in some way do get in touch and let us know.